The biotechnology industry in the Boston region, especially Cambridge, is a powerhouse even when compared with the innovation and development seen in the San Francisco Bay Area. These hubs function at a whole different level in biotech compared with other biotech clusters in the U.S. The healthy rivalry between San Francisco and Boston has fostered rapid growth in biotech thanks to their robust populations of small startups, large well-established pharmaceuticals, incubator sites, and large biotech-focused research institutions. The regions around the San Francisco Bay and Boston substantially contribute to the ever-growing number of bioscience-related jobs. Most of the biotech jobs in Massachusetts appear to be more narrowly focused on pharmaceutical and biotech drug discovery. According to the Massachusetts Biotechnology Education Foundation, in 2017 the number of life sciences industry jobs in Massachusetts surpassed 70,000 for the first time ever. That represents a substantial escalation of the industry's economic reach, which had already been building up momentum. The concentration and growth of these hubs seems natural, particularly with the large biotech companies in Massachusetts. Sanofi, ​Pfizer, Biogen, and Novartis are major pharmaceutical companies with large research centers just outside Boston and represent a significant portion of the local job market. San Francisco's bioscience industry quickly expanded and saw significant job growth. According to the San Francisco Center for Economic Development, by the end of 2016, the metropolitan area's biotech sector employed 127,500 workers. Those numbers were drawn from professional, scientific, and technical services needed by the industry, which may include jobs not directly involved in bioscience or biotech. There is a disparity between pharmaceutical-focused Massachusetts and the broader biotech segment in California. There were 1,896 new potential drugs in development or trials mentioned in the Massachusetts Biotechnology Council 2017 Industry snapshot versus the 1,274 medicines in the pipeline cited in the California Life Sciences Industry 2018 report for the entire state, not just the San Francisco Bay region. The prevalence of small biotech in and around San Francisco isn't surprising for anyone familiar with the quantity of venture investment in this area. Based on a PricewaterhouseCoopers/CB Insights HealthCare MoneyTree Report, in second quarter 2018 approximately $1.65 billion was invested in Silicon Valley area health care companies. That compares with $1.62 billion in investments for that same period for all of Massachusetts. It is not clear which is the top biotech cluster, but what is clear is that combined, Boston and San Francisco host high concentrations of biotech activity. Both areas have established broad-based biotech industry segments that are growing. Almost half of all U.S. biotech investment is made in these areas, about one-third of the biotechnology employees work for companies in these areas, and about a quarter of U.S. biotech companies are located in one of these clusters. These two regions are major drivers for global biotechnology innovation. 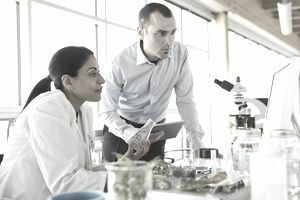 With the economic climate of the last few years, both regions have faced some challenges, but the unique mix of features that have enabled the biotech industry sector to thrive in these areas is not easily replicated. Investment cycles may ebb and flow, but both regions appear positioned to retain their roles as biotechnology leaders. Edible Oils: How Are They Used and Which Are Best for Cooking? Who Is Responsible for Funding Biomedical Research? Why Should You Get a ISO QMS Certification?